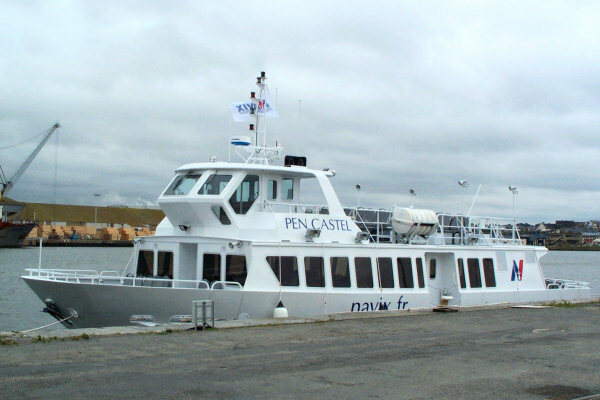 Pen Castel is the second passenger ship built by the Gamelin shipyards in Saint-Malo. She was delivered in June 2007 to the company NAVIX of Vannes which operates in the Gulf of Morbihan. Built in aluminum, Pen Castel is propelled at a speed of 15 knots by 2 Volvo D12 engine of 500 hp. She can embark up to 220 people.